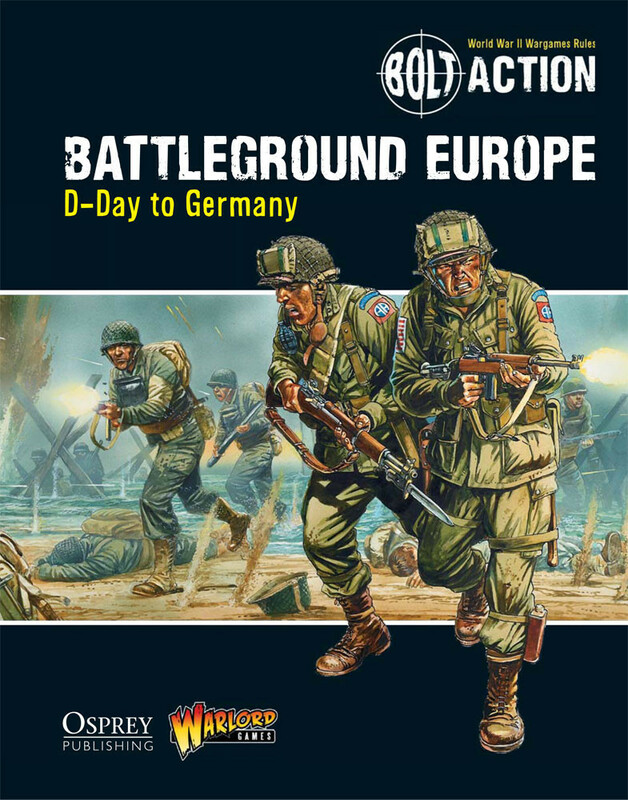 Near the end of last year, Warlord Games published the first theatre book or campaign expansion for Bolt Action, Battleground Europe – D-Day to Germany. 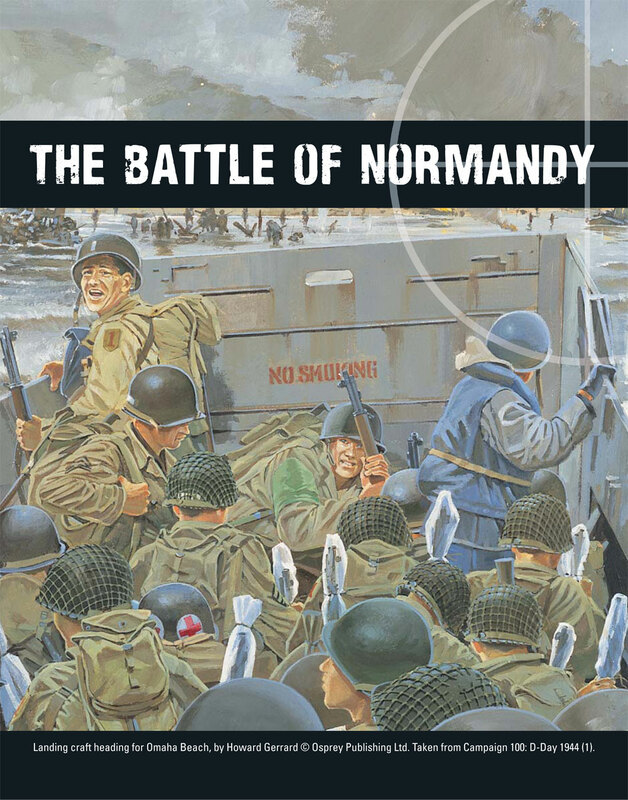 On 108 pages, the book covers the landing in the Normandy up to the last battles at the Ruhr. Warlord Games is charging 19,99 GBP or 29,95 USD for this soft cover. The authors are like in the rule book, Rick Priestley and Alessio Cavatore, supported by Ryan Miller. 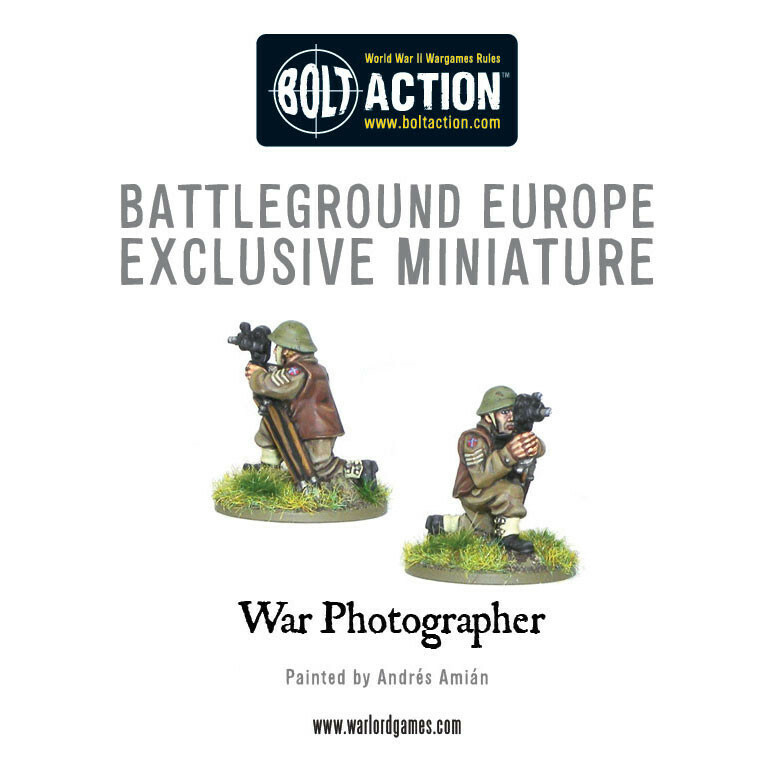 As usual, there is an exclusive miniature with this book, a war photographer for the allied forces. 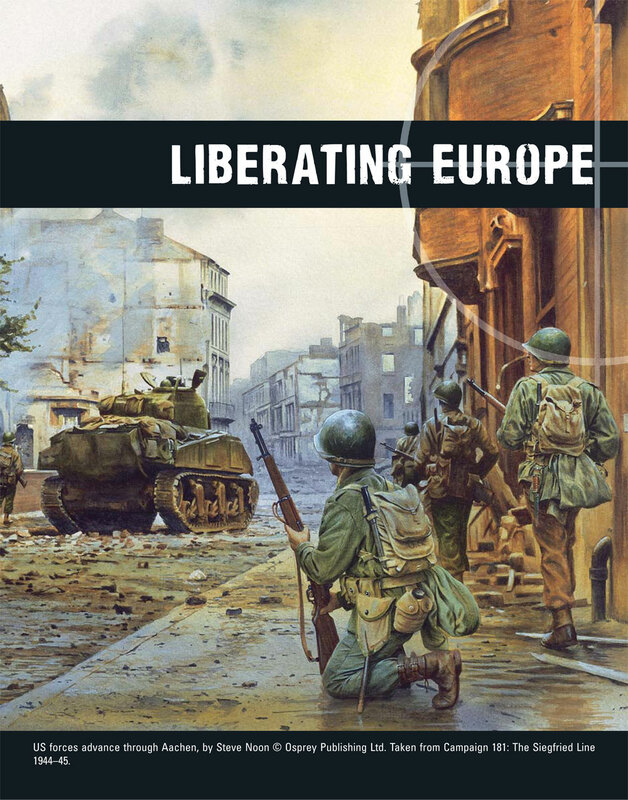 Like already written, Battleground Europe takes you on a tour from the preparation of the Invasion, the fall of the Third Reich and into the heart of Germany. This isn't your typical history lesson; it is a bundle of consecutive scenarios, which can be played in this order or separately. Warlord Games remains true to themselves and combines background, rules and layout in a convincing way. 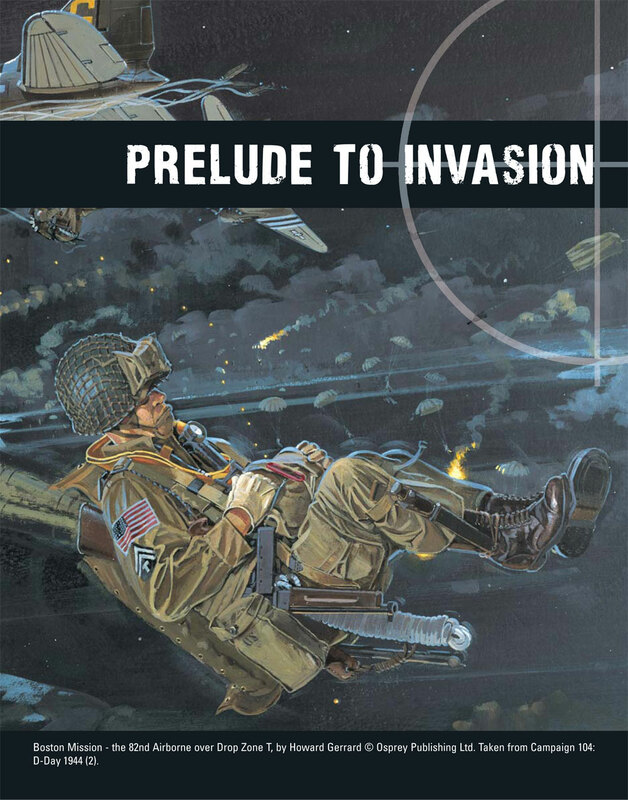 The cooperation with Osprey accompanies this with a lot of nicely done illustrations. The book is slightly thicker than the armies of books and bulging. They use all the pages in a clever way, for example instead of doubling contents from the army lists, you get referred to the theatre selectors from the army books. More space for new things. Each chapter has an introduction, which picks up the reader and brings him up to date. 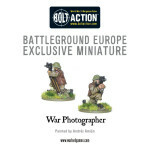 At the same time Warlord Games introduces special characters, as Legends of …”, into Bolt Action and gives you famous Units from the battles and campaigns of north-western Europe. You will find rules for Hobart Funnies, the Indian legion or medic vehicles in Battleground Europe, along with rules for e.g. Otto Skorzeny, who was available as an exclusive miniature along with the Armies of Germany book. The book is build around 15 new scenarios, of which each of 3 belong to one of the chapters mentioned above. As Bolt Action is a straight forward rule set, I was a bit skeptical at first. Would the additional rules, especially the characters, slow down or inflate the game? It is surprisingly well balanced and orientated on elements from the basic rule book. So instead of adding tons of new rules, they pick up existing one and combined them in the new unit choices. Same thing with the characters, they have slightly boosted abilities, like higher range for moral. Bolt Action is a game that from my point of view is more something for a campaign weekend instead of tournaments. This doesn't mean that it isn't working for competitive gaming. It really does, if you set some ground rules (early or late war, unit dices and some restriction on flamers), but even in the scenarios that give you a hard time with limited ammunition, you have a good time playing a match. In addition to that, the new units give you more options for your regular platoons, so you can add Brandenburgers to your Wehrmacht army or for the Allies, you got Simone Segouine and her partisans. 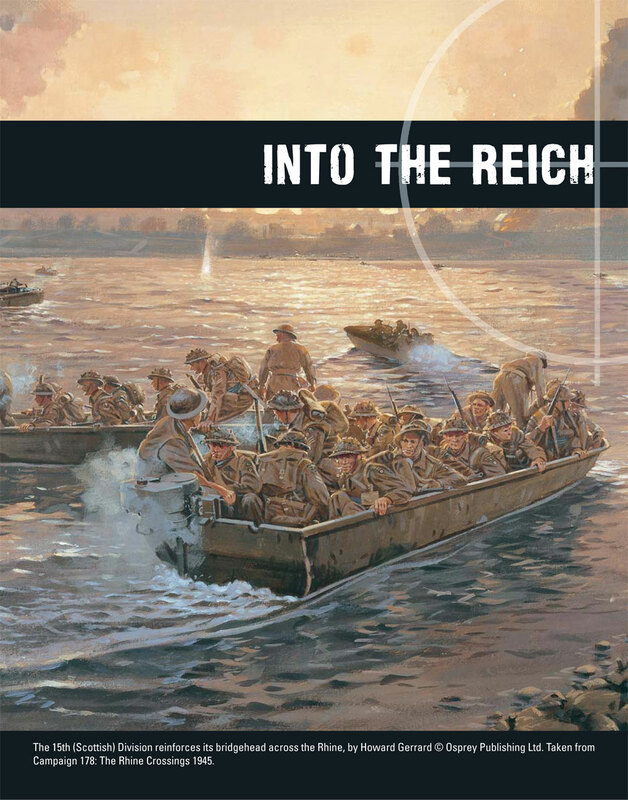 Warlord Games hat announced the next theatre book in the meantime, which is Ostfront. The book covers from Operation Barbarossa back to Berlin. After that we will receive two further books in summer and autumn. Empire in Flames – The Pacific and the Far East and Germany Strikes! Early War in Europe. By that, all of the available major factions would be covered in at least one of the books. It isn't officially announced yet, but I guess that somewhere in the future we will get another book that will cover the campaigns in Africa or Italy. Warlord Games went with the next logical step and did it successful. Bolt Action stays true to itself and lean. The book is handy and at 20 pounds no hurdle. Even if you would get around with having one or two of this in your group of gamers, Battleground Europe is appealing enough that it should be in every collection. That the book doesn't go that much into detail can be seen from two different points of view. On the one hand, you don't get drowned in information, but on the other hand for a campaign book, a nice thicker hardcover book with more maps and details, would have been nice. A solution like this would be more expensive, but bearable. But maybe, they wanted to stand out from Flames of War, and be more beginner friendly, which they certainly are.